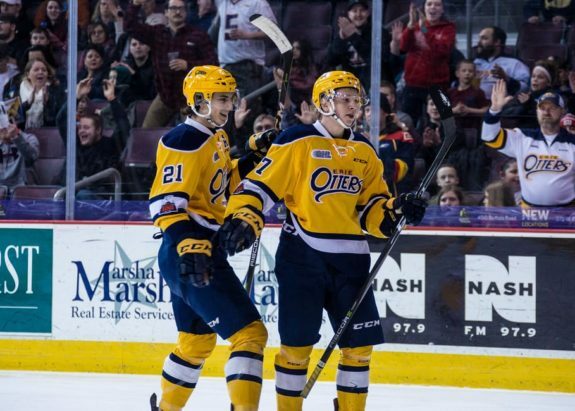 The Erie Otters started their post-Christmas break with a split of their road trip to Michigan. They opened with a 9-2 win in Flint before losing a tough 6-4 decision in Saginaw on Saturday. With 29 points on the season, the Otters sit four points out of a playoff spot in the Western Conference behind both Windsor and Kitchener. They end the 2018 portion of their season on New Year’s Eve when they host the Hamilton Bulldogs at Erie Insurance Arena. 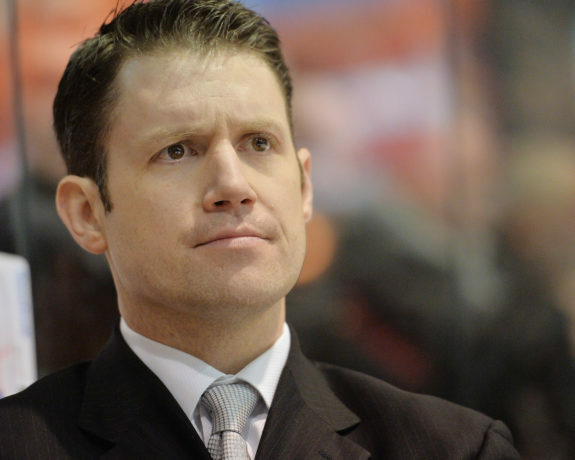 We had a chance to chat with Otters’ general manager Dave Brown on Saturday before their game against Saginaw. How does he view the season to date? Has he been satisfied with the job Chris Hartsburg has done? Oh and there’s a trade deadline coming too. Will the Otters make any significant moves? THW: You told us at the beginning of the season that the playoffs were a goal for your team. As of now, the team is sitting on the outside looking in. Are the Otters where you thought they’d be at this point in the season? Have they met your expectations? 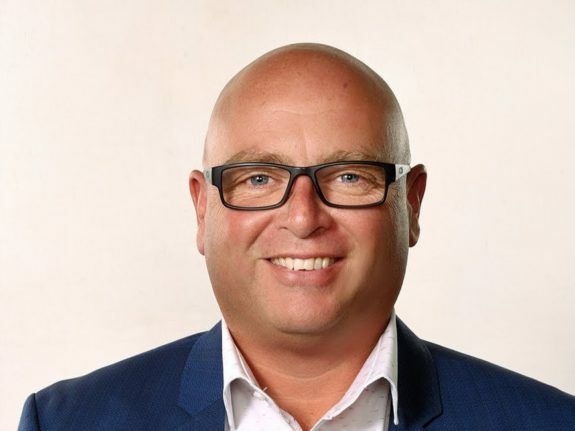 Dave Brown: “I think anytime that we have as young a group as we do, there’s little battles that you have to win internally and I think one of the things is that you can’t be ok just being here. I think that sometimes with younger players, they become overwhelmed by ‘hey I made the team!’ The next step is yeah you made the team, we like you, you’re a good player. We believe in you. That’s been one of the points that not only Chris (Hartsburg) but myself and the rest of the staff has been having with these guys that we really believe in this group as a whole. That’s why they’re on our active roster. What really resonated with me is when I was speaking with the Cohen’s (Elias) and they were given some advice. They were told great, you’ve been signed by Erie now. You can’t just be happy signing. You have to have aspirations and desires to move forward. I think all of our young guys have worked extremely hard. I think they try to get better everyday. Do the results show that? Maybe not. I think we’ve had some guys get off to slower starts. I think we’re starting to see some guys come around a little bit from those slow starts. Max Golod has been carrying a hot stick as of late. He’s playing now how we expected him to come out of the gate. Overall, we’re 14-19-1. We’ve allowed some games to slip away from us early in the year where we’d like to have back. That’s not to say we should be 19-14-1. We should be somewhere around the .500 mark. I would have been happy with that if you would have told me in September that we’re going to be 17-17 around this time. Although the results are 14-19-1, I’m not really using that gauge, those results, as to where our goal is. Our goal is to get back to be a perennial power in the Ontario Hockey League and make sure that we get up there. The first two years of our 50 wins, we emptied the tank completely in terms of draft picks to try and do that. We got real excited organizationally. We moved a lot of picks that we wish we had in 15-16 and we had to really dig deep into the tank to get assets to make our drive in 16-17. We were lucky enough to win it. After a very slow start, Max Golod is starting to play much better. THW: You mentioned the goaltending. Are you happy with where things are at as a whole there or do you feel you need to address some things in the near future given the up and down nature of the season? DB: “I like where we are. It’s harder for the fans and everybody else to watch and see the goaltending inconsistency. Anytime you look at goaltending, I don’t see many 22,23-year olds great goaltenders in the National Hockey League. These guys are all older guys, guys that have all matured into the process. We like what we have right now organizationally. Aiden Campbell, we believe he has a lot of abilities. If we’re able to get him signed with what we have now, we really like it. We look at a guy like Daniel Murphy who last year was 17 years old when he came to our team. He’s been with us for one year now and he’s played 57 games in one calendar year. That’s almost a full season. He’s played every game almost from the time he got here. That’s a big bulk of the work, but we also believe that he’s going to be better for it as he matures as a player. I think he’s got great work habits. I think those habits will show results in the end. I come back to the process. It’s being patient through the process. When we talk goaltending organizationally, I have to be the guy that when you look at the end result, I have to be the one that steps forward and takes responsibility for it. I think it’s an area we’ve addressed and we continue to address with regards to the development of our goalies, the scouting of our goalies. We have a new goalie coach in Shane Clifford. In our last scouting meeting, we spent a lot of time putting a powerpoint presentation together and we talked about what are we looking for in a modern day goalie. I know these are areas we haven’t handled well but we’re looking to improve on with each day. I wish there was a quick fix. I wish I could pull out a jar of pixie dust and they all of a sudden become consistent and play games that we all love. The reality is on the nights where we get a .900 save percentage on a more regular basis which is a direct result on us winning a lot of hockey games, will definitely become more the norm as Daniel grows as a player. If you look at the scores around the league, it’s kind of crazy. Also some numbers can be deceptive at different levels. As a staff, we just talked about save percentages. If you just look at save percentages from the lower level to our level, it’s kind of deceptive because you see guys that have been with us or with other teams and they’ve got great save percentages but weren’t able to execute at the same level in the OHL. 18-year-old @d_katic27 scores a goal and an assist. THW: How do you feel Chris Hartsburg has done this season? Are you satisfied in the way he’s handled different things? DB: “I think Chris and the coaching staff have done a great job. It’s so easy to sit back and evaluate wins and losses in a society where we’re driven on results. It’s so easy to say let’s get somebody in here, this guy can make us better. But it doesn’t help us in the long run. The long run is what we’re trying to become. We understand that we want to be hard working. I’ve had some people tell me that when you look at different teams, you show me any great coach and I’ll show you a guy that had a lot of great players. Right now, we’re developing good players. We talk about draft, how you have to have high picks. I had something sent to me recently. Since 2014, rounds 9-15, we’ve had more players, we have over 300 man games more, than our next closest competitor. That tells me one of two things. That tells me the scouts are doing a good job at identifying talent. And it tells me that my coaches are doing a great job of developing hockey players. It’s easy to go out there and work with the best players every year. It’s not easy to tell someone what you want them to execute or how you want them to execute only to see them not do it consistently. It’s not that the player’s don’t want to do it consistently, it’s that lack of maturity and age, it’s hard to overcome. You look for the easy way out. They want results as well. They want points. But there is so much that goes on the behind the scenes that the coaches don’t get enough credit for. Emotionally, the guys are up and down. They’re all over the place. They have school, they have girlfriends and family issues. We’ve got guys that are far from home, living away from home for the first time. I think the coaches have done a great job with that. THW: The trade deadline is quickly approaching approaching. Do you expect to be busy leading up to the deadline? And could you see a scenario where captain Kyle Maksimovich is traded? DB: “I think we’re going to look to tweak our team a little bit in terms of making sure we allow our guys to succeed. I have had some discussions with guys with regards to areas where we’d like to be a little better and have a little more depth. With regard to Kyle Maksimovich, Kyle will always be an Erie Otter. If there was a deal that made sense for the Erie Otters and it made sense for Kyle we’ll take a look at it. I don’t think we’re in a place or situation where there wasn’t a great opportunity for him to win and succeed and I think Kyle thinks the same way. He’s either 10th or 11th in scoring in the OHL. In my opinion, I think he’s the most underrated player in the OHL. I know he wants to try and win a championship but at the same time, he doesn’t want to be moved out of here for the sake of being moved. Overall, Brown is happy with the direction of the team. He’s happy with the coaching staff sticking to his plan. He knows there’s much work to be done and will use next year to evaluate their status. On the deadline, they’re looking at some possibilities but not for sake of a couple of wins. They’re looking for futures and will make a move if it fits. If someone wants Kyle, they better be prepared to pay. We thank Dave for his time in talking with us.